— The entire landscape of WWE will change tonight as the two-night WWE Superstar Shake-up kicks off on Raw from Montreal, Quebec, Canada. 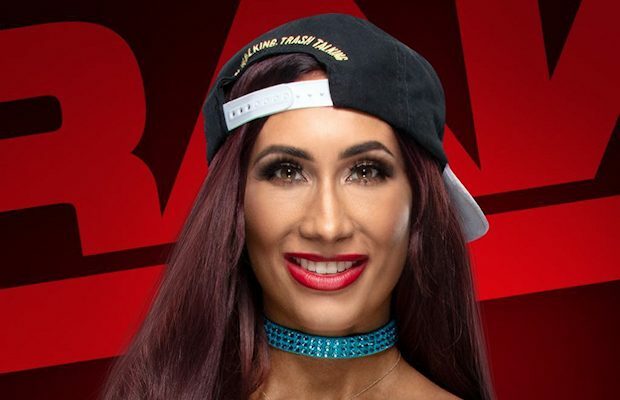 During an interview with TV Insider, Carmella got asked if she’s interested in joining Raw. — The WWE Elite Squad’s Zack Ryder and Curt Hawkins tour Mattel’s amazing WWE action figure display at WrestleMania 35 Axxess. — Roman Reigns looks back on his return after battling leukemia and reuniting with Dean Ambrose and Seth Rollins as The Shield on WWE Chronicle. WWE Chronicle: Roman Reigns, Part 2 streams immediately following Raw tonight on the WWE Network. — See Bianca Belair’s emotional post-match reaction to falling short of capturing NXT Women’s Championship from Shayna Baszler at NXT Takeover: New York.